General Hospital News: William Lipton is GH's New Cameron! General Hospital fans are getting a new Cameron. According to the new issue of the Soap Opera Digest magazine, actor, William Lipton has been tapped to replace Cade McWatt. William is a vocalist, bassist, guitarist, songwriter and stage/film actor who is represented by CTG, Los Angeles and NYLO, San Francisco. William's Biography states that he started in a band when he was six years old. He quickly picked up the guitar and has played in different bands throughout the years as guitarist, vocalist, and bassist. In October of 2012, he and two other friends formed WJM and they have played together ever since. WJM is a social impact band where all earnings are donated to different organizations that are in the need for support. WJM has rocked out at many signature venues all over the Bay Area and has also played at the United Nation in New York and Rock the Falls in Idaho’s rock festival. William has been involved in theatre and played Charlie Brown in You are a good man Charlie Brown in April 2014 at Hillbarn Theatre in Foster City. He also got a role in The Accident, an independent movie that was filmed in Berkeley here in the Bay Area. During this project, he also took dance lessons and got a good insight in working in front of the camera. During the summer of 2014, he did the summer camp at ACT youth conservatory and he really enjoyed every aspect of the education that was given there. He recently got cast for the Christmas Carol at the ACT and will be playing Scrooge as a boy this coming Christmas season. William also does work as a solo artist and won Burlingame Idol’s singing competition 2014. Lipton makes his debut on August 10. Congrats to him on Joining General Hospital - we look forward to what he brings to the table! 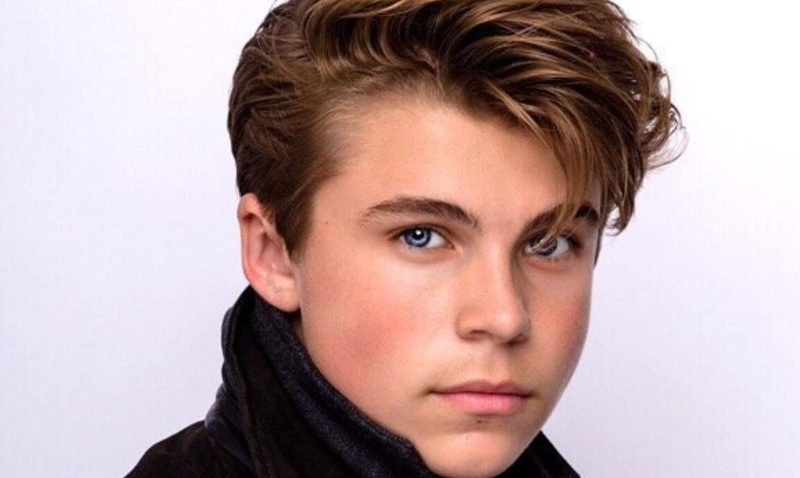 Soap Opera News: General Hospital News: William Lipton is GH's New Cameron!